The NFC East showdown between the Dallas Cowboys and the New York Giants will have nothing but pride at stake, as the Cowboys have already clinched the division title and cannot move in the standings, but the Giants will like to end their ruined season with a victory over their arch-rivals. The Giants opened as 6-point favorites with the total at 41.5 points and the Cowboys at +220 money line odds. The Dallas Cowboys (9-6; 8-6-1 ATS) have clinched the NFC East banner with a 27-20 home win to the Tampa Bay Buccaneers, so they can play in a relaxed manner against the Giants and rest their best players on this one. They won’t play to lose, for sure, but you can expect to see Dak Prescott and Ezekiel Elliott on the sideline for most of the game. The Cowboys have won six of their last seven games, deserving to give the opportunity to their backup players in Week 17. However, those guts will have a huge motive to prove their worth to coach Jason Garrett. Ezekiel Elliott is leading the way for the Cowboys this season while leading the NFL with 1434 rushing yards on 304 carries. 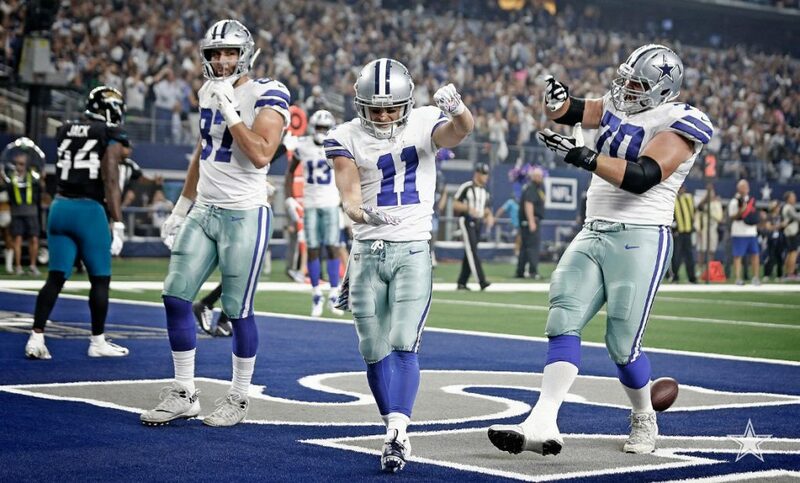 Elliott has six rushing touchdowns, also adding 77 receptions for 567 yards and three touchdowns. Dak Prescott is having a solid season, tossing for 3498 yards, 18 touchdowns, and eight interceptions, completing 68.3% of his passes. Prescott also has 71 carries for 305 yards and six touchdowns. Amari Cooper is leading the receiving corps with 48 catches for 694 yards and six TD, and he brought the right balance to the Cowboys’ offense. Dallas is scoring 20.2 points (24th in the league) on 338.8 total yards (23rd), allowing 19.3 points in a return (4th) on 321.8 total yards per game (6th). The New York Giants (5-10; 8-6-1 ATS) are out of the NFC playoff picture since early December, but they are playing very well in the last few weeks. The Giants have won four of their last seven games, and besides a 17-0 defeat to the Tennessee Titans, they haven’t disappointed their fans. Last week, the Giants were so close to upset the Indianapolis Colts on the road, leading 17-7 at the halftime, but they came up short 28-27 to record fifth loss in eight road games this season. At home, the Giants are just 2-5 straight up and 1-5-1 ATS in seven games this season. The rookie RB Saquon Barkley is leading the way for the Giants with 244 carries for 1198 yards and 10 touchdowns, adding 87 receptions on 113 targets for 688 yards and four touchdowns. Eli Manning has thrown for 3998 yards, 19 touchdowns, and 10 picks, completing 66.5% of his passes and suffering 46 sacks. Odell Beckham Jr. is leading the receiving corps with 77 catches for 1052 yards and six touchdowns, while Sterling Shepard added 62 receptions for 805 yards and four TD. The Giants are scoring 22.3 points (20th) on 350.4 total yards (19th), allowing 25.1 points in a return (23rd) on 368.2 total yards per outing (22nd). The Cowboys will rest Dak Prescott and Ezekiel Elliott and that is the main reason why the Giants are listed as 6-point favorites, as the bookies expect to see the hosts playing in full force. Odell Beckham will probably stay sidelined, but all other playmakers should be ready to go. Hereof, I think the Giants will grab a victory here, but covering the spread could be a tricky job, as the Cowboys’ defense will put on a fight even with their bench-role players on the pitch. Still, I’ll take the hosts to cover, hoping they will bring their best game to the ultimate matchup of the season in front of the home audience. The Giants have scored at least 22 points in six of their last seven showings, and their offense looked pretty good on the field, besides that ugly shutout loss to the Titans. The Giants will probably post around 20 points here, considering the Cowboys’ tendency to rest their best players, and the question is will the visitors reach a 20-point mark with their B offense. This is a tricky wager, so I will follow the betting trends and take the under.